Just want to reiterate the announcement last week, we added Y Retailer on our member classification. Y Retailer don’t have the ability to Register a Member underneath his/her network. MAyroon bang details document kung ano ang kaibahan ng bawat isang status at ano ang kaibahan nya sa iba at paano makukuha ang bawat status? Bawat isang status? Are you referring to member class? Right now, they all have the same function except Y Retailer who can’t recruit. Sir . pwede po maq tanong???? pwede po vah ako maq RETADD na may Name? paq naq login sa webtool?? i mean halimbawa. .nagparegister ao sa isang sub trader. .tapos pag nag login ao sa webtool ko as x Retailer meron din ako name gaya ng sa SubTrader?? You can register using mobile RETADD <11 digit mobile no>. Then edit the details via Web Tool. ummm… we can add it for you… but you have to verify you are the owner of the mobile no..
What’s your mobile no? and text RBAL 763124 to 4483. Kung suubtrader po ako ay ilang retailers po pwede ko iregister? Kung retailer naman ako ay ilang sub retailer ang pwede? yes, all retailers can now deposit direct to netplay.. only yretailers cannot deposit. E-pinoy admins may tanong lang po ako.. Here are my questions.. Pardon me if medyo marami po.. 1. )If direkta po akong magpapa activate sainyo, 500 po yung ibabayad ko tama? 2.) Once I paid the amount, I will become a trader? Tama po? 3.) 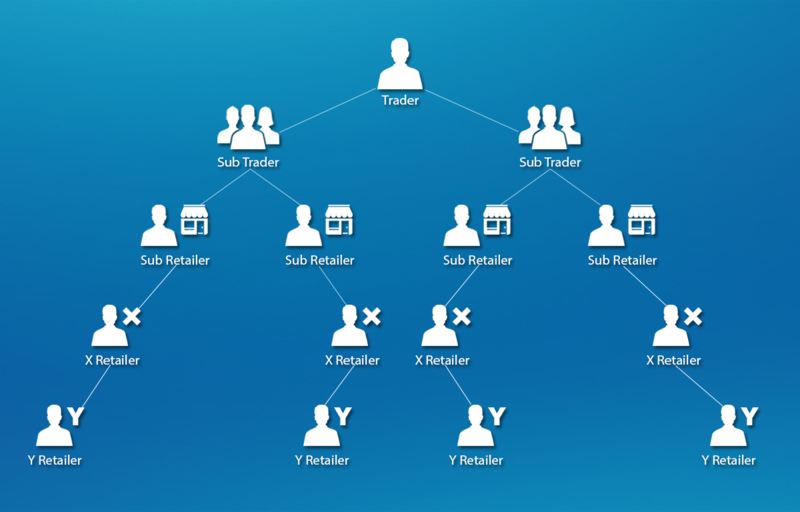 Kapag may nagpa activate po saakin, he/she will be a sub-trader, then a sub trader can activate a sub retailer. And a sub-retailer can activate X retailer, the X retailer can activate a Y retailer… Then a Y retailer has no power to activate retailers… Tama po ba ako? 1 & 2) We do not charge registration. P500 is the minimum deposit amount to replenish load wallet to start your business. You will only deposit once your account is approved. Hi Prettyme, what’s your registered number? No. You need to thru a Smart Wireless Center. Thank you. 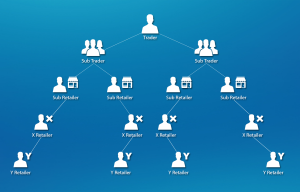 as trader nagkano kikitain nya sa kanyang subtrader, subretailer, x retailer and yretailer? as subtrader magkano naman kikitrain nya mula sa kanyang downline? as subretailer magkano naman kikitain nya mula sa kanyang downline/ and so on? Commission is only applicable on deposits. .05 of each member deposit will be distributed to the UPLINE/S. Good morning, our Trader Registration is currently on hold. Thank you. Gusto ko po kasi mag activate ng mga sub dealer.. pahelp po.. magkano po registration para maging sub trader? Good morning, our Trader Registration is free of charge but it’s currently on hold. You may ask the Trader you know to activate you as Sub-Trader. Thank you. Hi Noco how to add downlines? Pag na activate na po ba ng subtrader ang sim pero hindi pa naibigay yung manual. Hindi na po ba pwede i cancel yung activation and compulsory na talaga to pay the activation amount? Hi, activation directly to us is free of charge. You may coordinate the concern to the Trader who activated your account. bakit may deduction na 200? Hi Ace, may we have your registered number? and for us to assist you faster message us here FB Page https://www.facebook.com/EPinoyloadSupport/ so we can assist you further. Thank you! Hi Glenn, wala pong pinag kaiba ang sub-merchant at subtrader. Ask lang po aq.. bakit po makakapag.activate po aq pero yung ena.activate q po hindi po sila makakapag.activate? Paano po malalaman kung anong status mo like kung x retailer or y retailer ka po? sir ask ko lang po. saan po pwede mag pa register bilang isang sub trader. Hi Papavergz, kung magpapa activate po kayo samin TRADER po ang magiging rank niyo..
hi question kung unlock subtrader ka pwede ka ba mg unlock ng subtrader din? Paano po kong x retailer ako tapps gusto kong maging subretailer? Hi Sedrick you need to have a new simcard to registered your simcard as a trader. We don’t have upgrade. Hi po. Mag nag register po ng number ko.. Sub retailer po ako ngayon ayun po sa confirmation na natanggap ko. Pwede din ba ako mag recruit at mag add din ng retailer under me? Pano pag nactivate na ung number mo sa retailer tapos gusto koo na pong mag subdealer? Tapos pwede po ba akong mag load directly ? Yung di nako magsasabi sa dealerko? Hi Maria, bili po kayo new sim para ipa upgrade/registered yung rank niyo po. You can load directly to us kahit di niyo na ho sabihin sa dealer niyo. **NOTE**: For BPI Online Fund Transfer, we suggest to make transaction between 6:30am-7:30pm to prevent delay deposit crediting. If 7:30pm onwards possible po na maabutan ng early CUT-OFF of the banks ung deposit. For BDO bank accounts use the BRANCH LOCATION. For BPI instead of bank location we will use BPI BRANCH CODE. pwede kopo bang gamitin ung sim na activated sa pang retailer to reload another retailer? Hi Maria, yes po pwede po..
hellow po..new member po ako. x-retailer daw po ako sabi ng nag activate ng simko..then tinry ko po mag register as trader tas nabawasan po loadwallet ko ng 200..tanung ko po kung anu na status ng sim ko..TRADER na po ba?? Hi Jennifer para maging trader ka you need to have a new sim, Yung 200 load wallet deduction ay self unlock po yun..
Hi po. Ask lng. Pano malalaman kung ang sim mo ay trader or sub-trader or ano ba? Pls reply. Hi Prettyme, kami lang po pwedeng mag check ng rank. Wala po tayong makukuhang commission pag nag RLOAD po tayo sa ibang retailer. Upon checking 09977017030 is activated as subtrader. magkano po rebates na makukuha pag nagreplenish direct sa epinoy?pag subtrader ilang percent?sa x-retailer magkano din? We give 2% every 500 up deposit. Paano po maging sub trader? Pwede po bang magbenta ng load Ang registered number ko as a sub trader? Magkano po ba fee sa sub trader? Only Traders can activate subtrader. If may kakilala tayu na trader, you can ask them to activate your sim. Hello po, tanong ko lng po kung anu po pinag kaiba ng RMADD, RETADD at PREG.? Thank you in advance..
RMADD- automatically will be subtrader of Richard. hi tanung lang po.. may bawas ba kapag preg ang gamit sa pag add dwonline? Hi Kristenate Buenafe, yes po may bawas po..
good pm po, nag register po ako ng subtrader at gamit niya is smart sim, the problem po is hindi siya maka benta ng globe products. ano po kaya ang dapat gawin o problema po? 1. As an incentive, new traders will be given a 2.0% incentive for the first 6 months. Then downgraded, after careful evaluation of ePinoyload if they do not meet the monthly target. Incentive will vary per category depending on the amount of monthly deposit. 2. If your Trader sim was already unlocked, per unlock of your downline you will get 5 – 10 loadwallet commission. 3. Every direct deposit of your network, you will also get a commission. Ask ko lang po sana. Kapag po nag add ako ng yretailer, mababawasan po ba load wallet ko? Hi Kristine , hindi po kayo mababawasan kapag nag add po kayo ng member. Hi Beno, paano pong Cash out? Yes, everyone can deposit directly to us. If you want to change your member type. Please send us a pm on fb page for proper assistance. Hi po. Tanong ko lng po.. Pwedi po bang mag replenish ng load wallet through palawan express or mlhuilhier? Hi May Ann, We don’t have an account number in Palawan, also we do not recommend to deposit through Palawan to Smartmoney to prevent the delay to credit your deposit. Please see the list below on where to deposit. Thank you. **NOTE**: For BPI Online Fund Transfer, we suggest to make transaction between 6:30am-7:00pm to prevent delay deposit crediting. If 7:00pm onwards possible po na maabutan ng early CUT-OFF of the banks ung deposit. Hi Frederick, yes upon checking sa number na iyong pinrovide, your number is a Y-retailer. Hi Janine, please provide your registered number for further checking, Thanks! can i upgrade my membership from retailer to sub-dealer? Hi, to be a sub-dealer you need to provide another sim. Yes, 09360822981 is a Trader number. Pwede mo kami sendan ng PM sa FB chat support para mabigay namin sayo ang tamang details. Or pwede ka rin tumawag sa aming hotline. Ang number na ito 09092529409 ay Sub-trader rank. Hi yes this number 639561471810 is still active.